Alia Bhatt, who is on the top of her game, has reacted to criticism around her onscreen pairing with much older Salman Khan in Sanjay Leela Bhansali’s next, Inshallah. Speaking to Pinkvilla, she said that she received no criticism about the pairing; instead she saw a lot of excitement coming her way. After days of speculation, it was announced last month that Alia and Salman would star in Bhansali’s next, a development not necessarily universally well received. 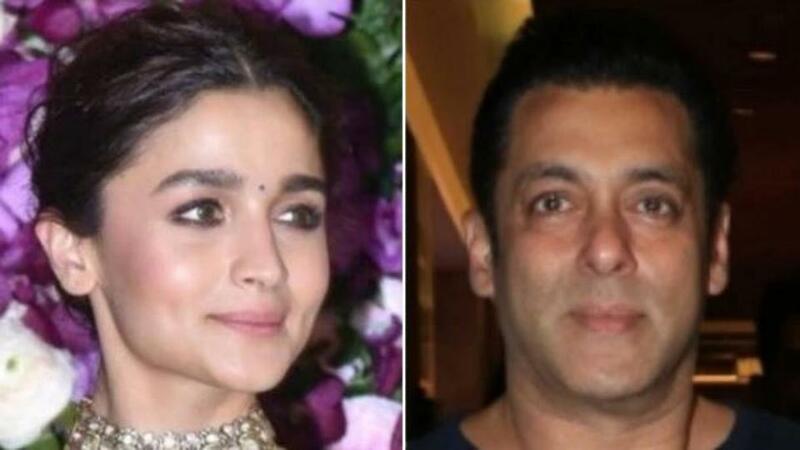 Many of Twitter users expressed their disappointment and were quick in digging out an old picture of the two together when Alia was but a child. Alia remains unfazed by all the talk, so are Salman and Bhansali. The Raazi actor remains busy as ever; come April 17 and her film, Kalank, will hit the screen. The multi-starrer is hugely anticipated with its trailer and various songs already a hit with fans. Alia has many other interesting projects in her kitty, including Ayan Mukerji’s Brahmastra, SS Rajamouli’s tentatively titled RRR, Karan Johar’s directorial Takht. She also has the sequel of Sadak in her kitty. Salman too is a busy star — his film, Bharat’s shoot is over and it is expected to be an Eid release. He is currently shooting for Dabangg 3 and also has another remake of a Korean film named Veteran in the pipeline.